Parv’s audio journey started at Grand Central in 1994 but by 1999 he’d moved to Wave Studios as a founding member to further his sound design career. Moving quickly through the company his reputation grew as did his client base as he worked on many prestigious, award winning projects including Sony, Cadbury’s and Radio 1Xtra. Parv himself has won two D&AD pencils, three BTA craft arrows as well as several Creative Circle awards and a Pro Max Gold award for best sound design for projects as diverse as Skoda, Guinness, Honda, Carlsberg and the BBC. In 2012 Parv became a Partner of Wave Studios, helping to run the business both in London and in Amsterdam. 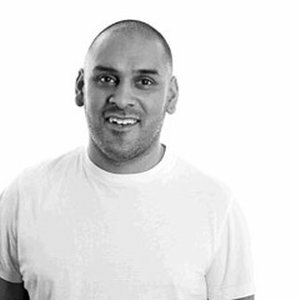 Parv currently resides as Senior Creative Director of the Wave group, and when time permits likes to mentor and encourage students to broaden their talents in creative sound design along with his passion for Arsenal FC.